We’re playing our last show of 2016 on Saturday. It’s been a hell of a year for us. This time last year we were just three guys jamming on the bare bones of three of our songs. We’ve com a long way and grown as a band. We’ve met a ton of cool people and had some amazing opportunities. We can’t wait to spend next year writing, traveling, and playing with even more awesome bands. So keep an eye out for new songs, new merch, and more shows. We’re really excited to see what the future holds. 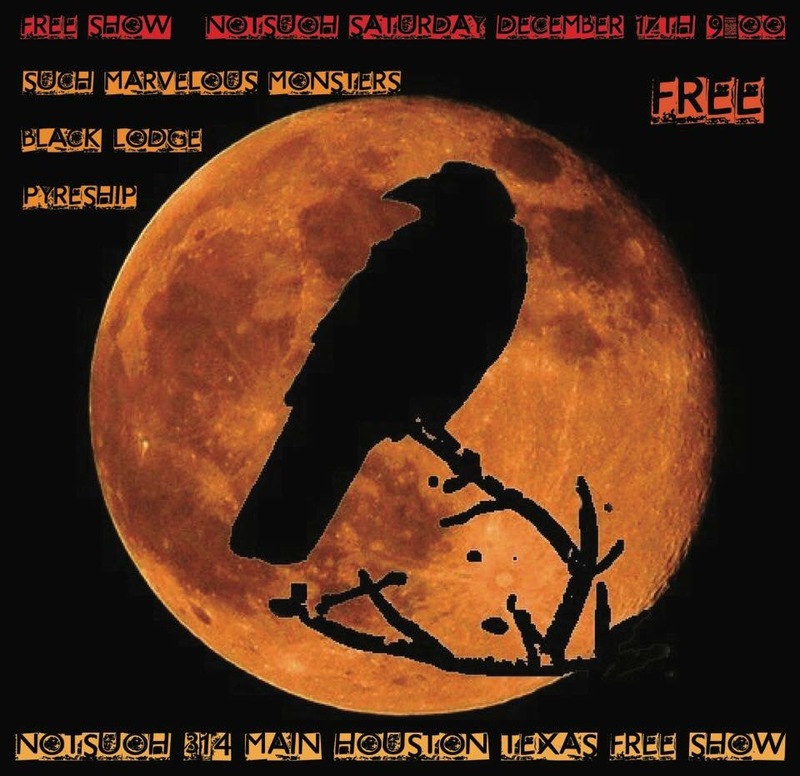 Come help us celebrate an awesome freshman year as we play a free show Saturday at Notsuoh. 314 Main St Houston,Tx. We play 9:30pm. See you there.